Kurt Said has been appointed as partner within the tax department of boutique firm Busuttil & Micallef. Kurt is an ACCA graduate and holds a Diploma in Taxation from the Malta Institute of Taxation. 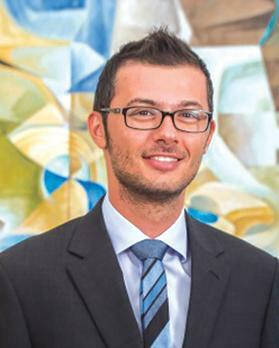 He is also a practising auditor and a member of the Malta Institute of Accountants, ACCA and the Malta Institute of Taxation. Apart from his contribution to the firm’s audit department, Mr Said mainly assists corporate and individual clients with their fiscal requirements. He is also involved in tax advisory for both local and international clients. Lorraine Muscat has been appointed as partner within the firm’s audit department. In 2007, she graduated from the University of Malta with a Bachelor of Accountancy (Honours). She continued her studies at the University of Malta and obtained a Post Graduate Certificate in Education in 2008 and a Master in Accountancy in 2014. Ms Muscat is a certified public accountant and also holds a practising certificate in auditing. 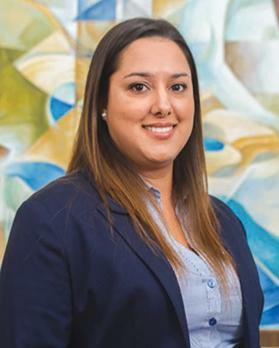 She is mainly responsible for audit assignments of both local and international clients, and is also involved in assistance with technical matters, especially those relating to International Standards on Auditing (ISAs) and compliance with International Financial Reporting Standards (IFRSs) and local accounting standards (GAPSE). Busuttil & Micallef brings together a number of like-minded individuals who seek to achieve professional and personal fulfilment through the servicing of, and interaction with, clients from diverse backgrounds and involved in different areas of economic activity. The firm is affiliated with INPACT International, which is an alliance of independent professional offices with over 140 members working out of 232 offices in more than 60 countries worldwide.